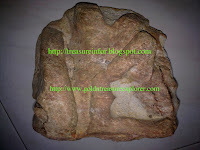 Those who with interest and hobby in treasure hunting, shipwrecks or gold prospecting and panning at the river, we had the relationship with local people's connection and location to permit to survey the sites in Indonesia, Philippines or Malaysia. Are welcome be partners. This web site is for share and contact to venture in those region. Regard, Hobby and Adventure. Explore - Search - Travel and Tours, Beside that i can help you to sell your treasure or your gold nuggets. Also gold prospecting and hunt treasure on a share basis for people who have especially good leads. ATTENTION!!! ONLY USE THOSE TOOL AS A MEANS OF HOBBY. THOSE APPLIANCE MUST NOT BE USED TO FIND TREASURE, WITHOUT PERMISSION FROM AUTHORITIES! Brief Info and Share Stories : Yamashita Treasure, VOC and Shipwrecks, etc;. Maybe, Approximately There are 493 sites in Indonesia or Philippines Treasure. RG 's Associates, Mr Tony Wells's specialized in shipwrecks, Are Welcome to the Southeast Asian Treasure Connection.. the one and only web site that is totally dedicated to treasure, salvage and archaeology events in Southeast Asia. TSEATC hopes to keep you up-to-date with the latest treasure and archaeology discoveries and projects occurring in the Southeast Asia region. This includes the following countries (and surrounding areas); BANGLADESH, BRUNEI, CAMBODIA, CHINA, INDONESIA, MALAYSIA, MYANMAR, NEW GUINEA, PHILIPPINES, SINGAPORE, TAIWAN, THAILAND, and VIETNAM, etc; Enjoy your outdoor activities. Now that the advance in the modern technology micro-processor to detect the valuables thing buried the area 1 hector wide, the deepest of 1 meter – 10 meter or more to 50 meters can be detect not more than 15 minute (without strong wind) It can be differentiate whether the treasure is gold, silver or diamond. It won’t affect other metal that is situated round it. Recovery of treasure is possible primarily to those capable of recognizing the possibility of the treasure. The Dutch East Indies (Indonesia) represented the Dutch rule in the Dutch East Indies between 1610 and the recognition of the independence of Indonesia in 1945 (almost 3 and half century). Then Indonesia gain it's independence at 1945. For most of the Dutch East Indies history, and that of the VOC before it, Dutch control over these territories was tenuous; only in the early 20th century did Dutch dominance extend to what was to become the boundaries of modern-day Indonesia. 2011 Site Maintenance and Designed by treasureinfor.com. Travel theme. Powered by Blogger.